Sony is gearing up to launch what is basically an all new platform next year, when they launch the PlayStation VR headset. Sony have already said that they are treating it like the launch of an all new system, and certainly, judging by the kind of first and third party support that they seem to have enlisted for the headset so far, it seems that they are putting their money where their mouth is. Given all of this, it follows that they expect a return on their investment, for the PlayStation VR to be successful, right? Of course, but the question there is, what exactly would constitute a success for Sony as far as the PlayStation VR is concerned to begin with? Something more PS4 or PS Vita? According to Sony, it will definitely trend more towards the latter than the former. “Honestly, it’s going to be a challenge,” Managing Director of Sony Computer Entertainment in Australia Michael Ephraim recently said in an interview with IGN.. “We have retail partners, we have media, and shows, and events. There’s always been Westfield events. But word of mouth is a strong tool, too. You demo to 1000, and they’re going to tell 100,000 people that they had this amazing experience, and those people are going to want to have that experience too. But we don’t have the exact answer. “We’re working on plans, obviously, but I think – look. Already before launch there’s so much hype, but it’s going to be here for a while. We don’t have to sell a million units during launch period. It will be a build. As Shuhei [Yoshida] said, there are a lot of publishers and devs developing for it. And there will be titles coming to VR that people will know, like GT Sport, for example, which will have a VR component. But as for en masse? It’s something we’ve got to work on,” Ephraim said. I think this is sensible- the PlayStation VR may be a new ‘platform,’ but it is also spearheading the launch of what might be an all new format, an all new medium of entertainment. It is something completely new and unprecedented to the masses, so obviously, the standards and scales of success for this thing will have to be scaled back accordingly. Remember, even the iPhone was not as much of a success to begin with- it took it years before it would go on to sell 10 million units at launch. 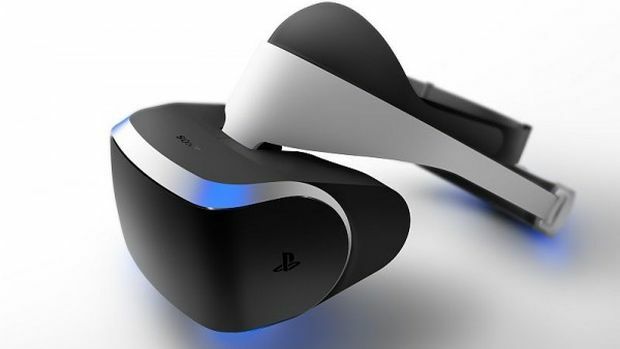 The PlayStation VR will launch in 2016.